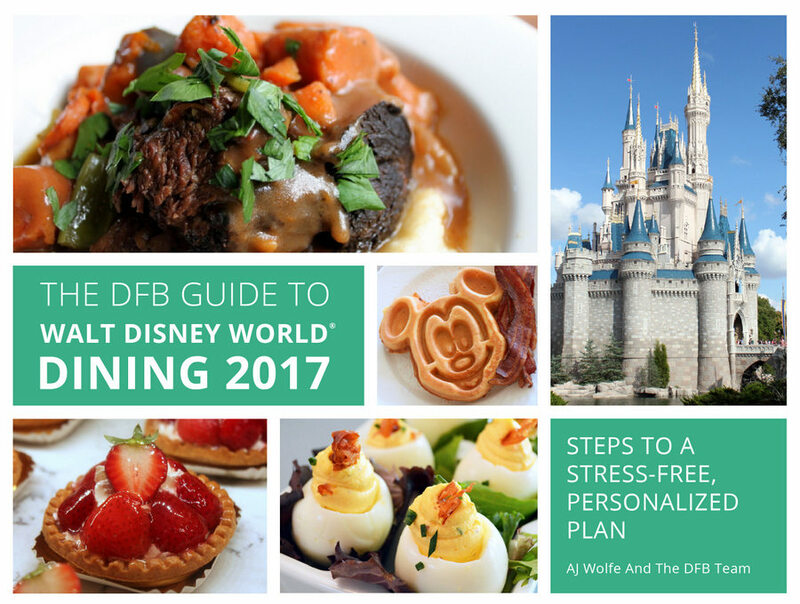 The calendar might say 2016, but the Disney Food Blog is getting you ready for your 2017 Walt Disney World vacation thanks to the grand launch of The DFB Guide to Walt Disney World Dining 2017 e-book! This fully-updated e-book features more than 600 pages of information to help you plan your Disney vacation! In the 2017 guide you’ll find: a 5-step strategy for Disney dining planing; a comprehensive and in-depth look at every Disney World restaurant, bar, kiosk, and lounge; four free downloadable worksheets to help you plan; an index of bars and lounges; and much more. And because it’s an e-book that means you can download it right to your phone or tablet for easy access IN the Disney World. (You can also download it to a computer for at-home planning!). The The DFB Guide to Walt Disney World Dining 2017 also features fully updated prices, menus, and restaurant info; Disney Food Blog’s recommendations; a Disney Dining Plan cost analysis; and more. To celebrate the launch of The DFB Guide to Walt Disney World Dining 2017, the DFB is offering a limited-time discount on the e-book. Just use the code SAVE2017 and get 20 percent off the cover price of $18.95 at checkout.